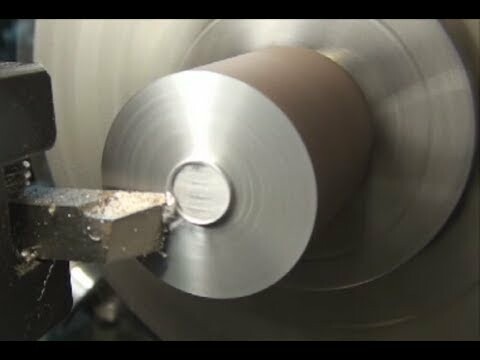 The lathe is a machine tool which holds the workpiece and rotates the object fixed between the headstock and tail stock of the chuck about its central point to perform various operations such as Threading, Chamfering, knurling, drilling, or deformation, facing, turning, with tools that are applied to the workpiece to create an object with symmetry about that axis. 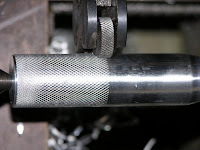 It is an operation of removing excess amount of material from the surface of the cylindrical workpeices.In this operation, shown in fig., the work is held either in the chuck or between centers & the longitudinal feed is given to the tool either by hand or power. 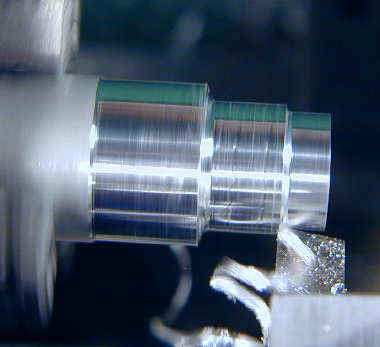 It is an operation of producing various steps of different diameters in the workpieces as shown in fig. 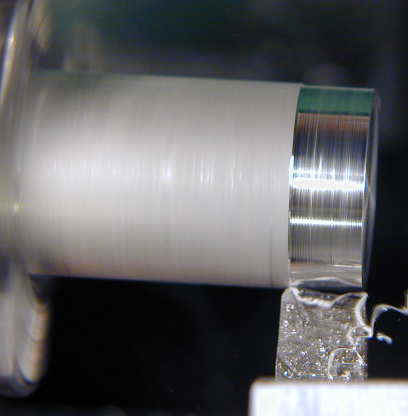 This operation is carried out in the similar way as plain turning. It is an operation of producing an external conical surface on a work pieces. 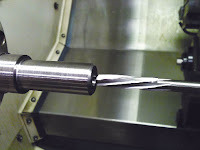 A small taper may be produced with the help of a forming tool or chamfering tool, but the large tapers are produced by swiveling the compound rest at the required angle or by offsetting the tail stock or by taper turning attachment. 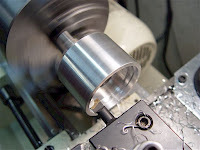 It is an Operation of reducing the diameter of a workpeices over a very narrow surface. Threading is process of creating of screw threads by cutting helical grooves on the external cylindrical surface of workpiece. 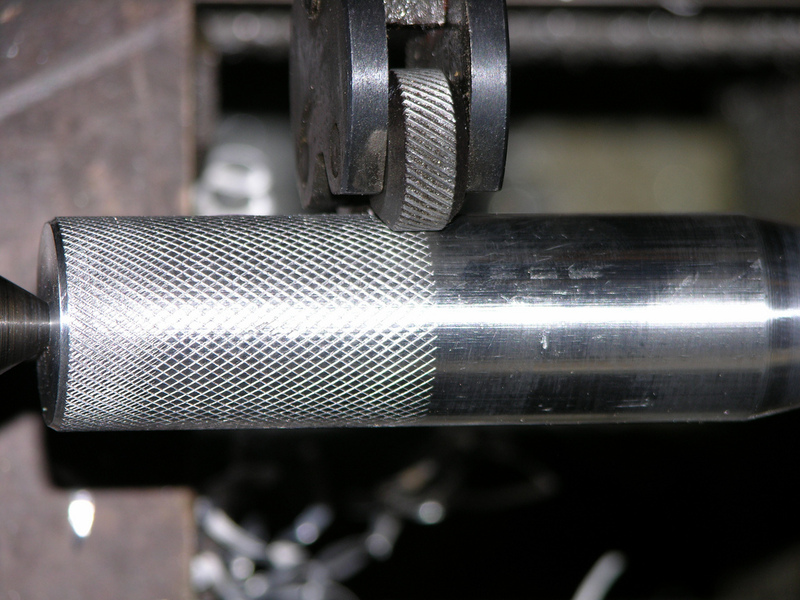 It is an operation of providing knurled (dimond shaped pattern) surface on the workpeice by using specially shaped hardened metal wheels to improve its appearance and to provide a better gripping surface. It is an operation of beveling the extreme end of a workpeice. It is an essential operation after thread cutting.Chamfering removes the burrs and sharp edges, and thus makes the handling safe. 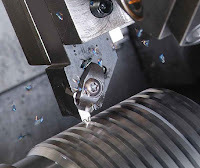 It is an operation of enlarging of a hole already made in a workpiece by means of a single-point cutting tool (or of a boring head containing several such tools), such as in boring a gun barrel or an engine cylinder. This operation is almost essential for all works. 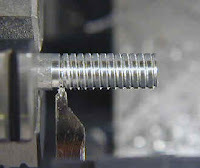 In this operation, as shown in fig., the work piece is held in the chuck and the facing tool is fed from the center of the work piece towards the outer surface or from the outer surface to the center, with the help of a cross-slide. 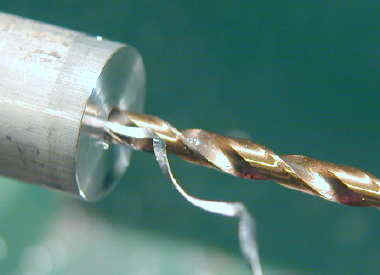 It is an operation of making a hole in a work piece with the help of a drill. In this case as shown in fig., the work piece, by rotating the tail stock hand wheel. 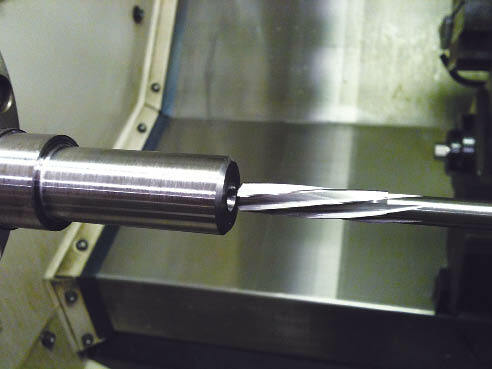 The drill is fed normally, into the rotating work piece, by rotating the tail stock hand wheel. It is an operation of finishing the previously drilled hole. In the operation as shown in fig., a reamer is held in the tailstock and it is fed into the hole in the similar way as for drilling.